Despite of the advancement in both Science and Technology, it comes as a surprise to learn that 1.2 billion people worldwide still do not have access to electricity. As part of its global initiative, Panasonic Corporation (PC) made a commitment to do its part to alleviate health and economic difficulties through their 100,000 solar lanterns project. Panasonic Corporation recently donated 2,550 solar lanterns to 10 humanitarian and non-governmental organizations (NGOs) in the Philippines. The latest donation drive has brought this initiative to its 5th year with a total of 12,264 pieces of solar lanterns. 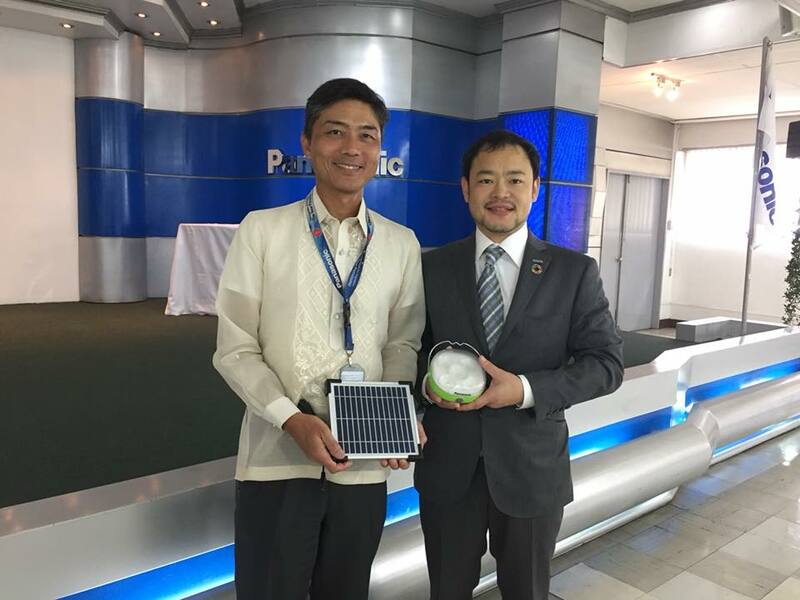 A hand-over ceremony attended by more than 50 guests was held at Panasonic Manufacturing Philippines Corporation (PMPC) in Taytay, Rizal graced by DSWD-Disaster Response Assistance and Management Bureau Director Felino Castro V (10th from left); PMPC President Shinichi Hayashi (holding a solar lantern board); and PC-CSR & Citizenship Group, Program Management Section Leader Haruhisa Okuda (8th from right). Other members of PMPC management include Executive Director Masaru Toyota (4th from left); Executive Director Yoshiyuki Takahashi (7th from left); Assistant Director Marlon Molano (2nd from right); Assistant Director Robert Pacheco (1st from left); and Air Conditioner Business Division Head Harry Sarmiento (2nd from left) with the officers and representatives of the 10 recipient-humanitarian and non-government organizations: Center for Excellence in Special Education (Stepping Stone) Foundation; Conrado and Ladislawa Alcantara Foundation; Davao Medical School Foundation - Institute of Primary Health Care; Interfaith Partnership for the Promotion of Responsible Parenthood; Jesus V. Del Rosario Foundation; Josefa Segovia Foundation; Konkokyo Peace Activity Center Information Office; Philippine Business for Social Progress; Pilipinas Shell Foundation; and Pambansang Kilusan ng mga Samahang Magsasaka (National Confederation of Small Farmers' and Fishers' Organization). 2017 marks the final year of the said Project. To date, over 92,000 lanterns have been donated through 131 humanitarian organizations in 30 countries since its debut in 2012. It also coincides the first half-century in business operation of Panasonic Manufacturing Philippines Corporation (PMPC) while next year will be the centennial or 100 year anniversary of Panasonic Corporation (Japan). The donation ceremony was held at Panasonic Manufacturing Philippines Corporation (PMPC)in Taytay, Rizal graced by DSWD-Disaster Response Assistance and Management Bureau Director Felino Castro V; PMPC President Shinichi Hayashi; and PC-CSR & Citizenship Group, Program Management Section Leader Haruhisa Okuda. 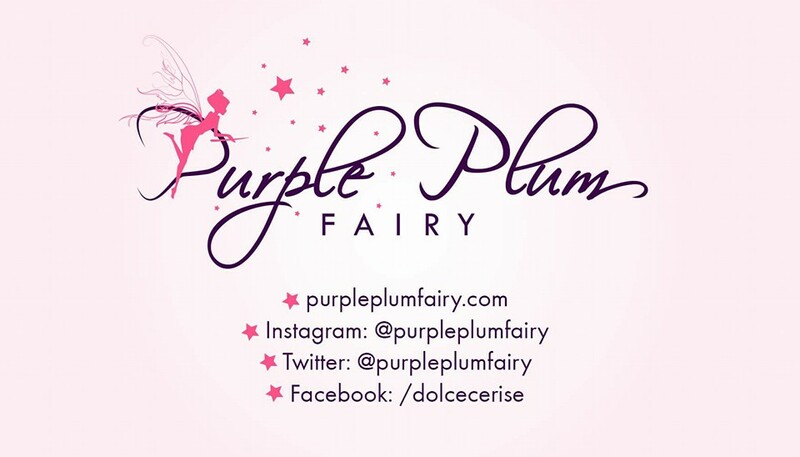 Other members of PMPC management include Executive Director Masaru Toyota; Executive Director Yoshiyuki Takahashi; Assistant Director Marlon Molano; Assistant Director Robert Pacheco; Refrigerator Business Division Head Angelo Tamayo; and Air Conditioner Business Division Head Harry Sarmiento. 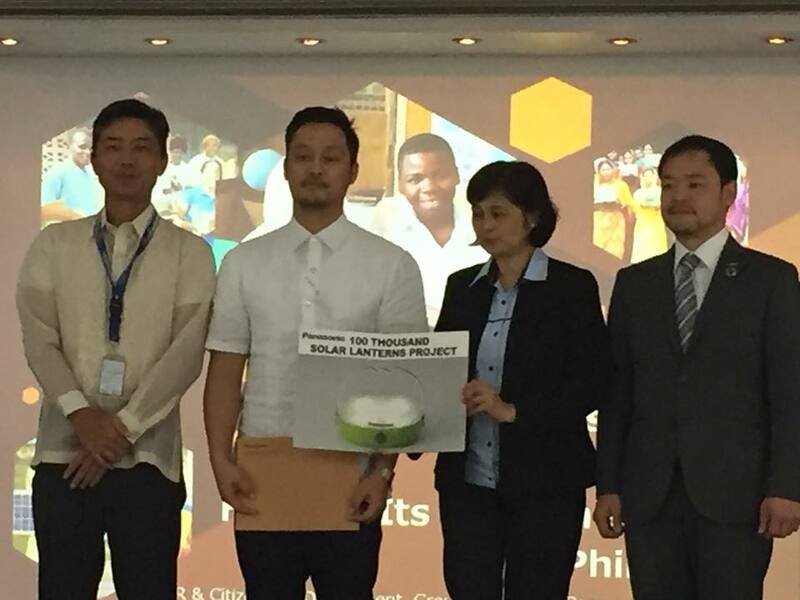 "Today’s donation marks the 5th of such efforts in the Philippines under the “Panasonic 100 Thousand Solar Lanterns Project,” which is one of the clear manifestations of Panasonic commitment to serve society and help improve the lives of people along with the aspiration of having a world where “no one will be left behind” and in pursuing ‘A Better Life, A Better World’. Since the time the Project was introduced in the Philippines, we continue to receive positive feedbacks and testimonies that serve as inspiration for us to strive for more, exerting our best effort to carry out our responsibilities as corporate citizens,” said Mr. Hayashi, PMPC President. 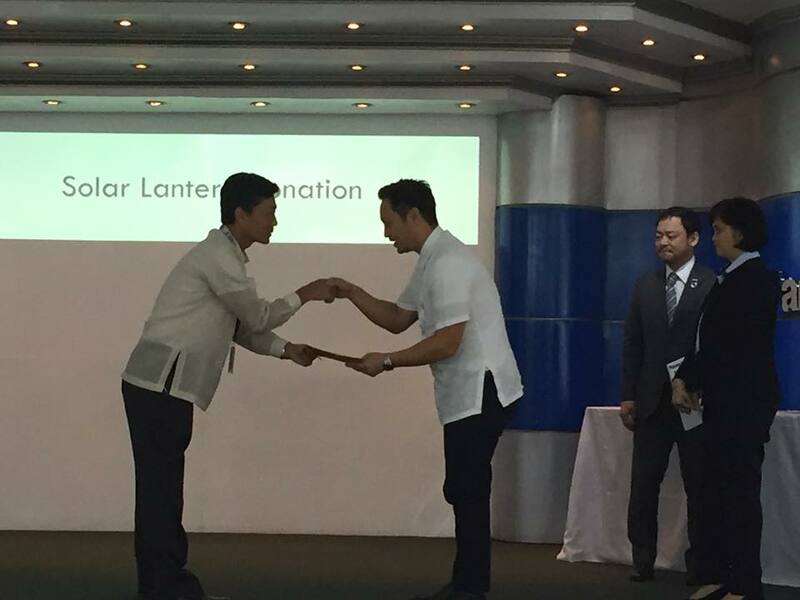 Introducing the 10 recipient organizations of the donation for the fiscal year 2017, Mr. Okuda presented some reports on how the solar lanterns are now helping its beneficiaries. 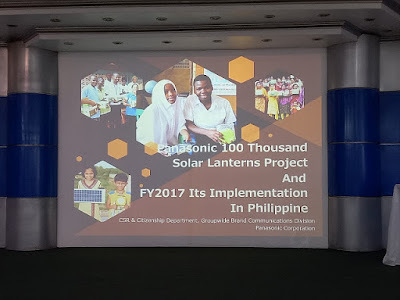 “We are glad that our Solar Lanterns Project is really serving its purpose with reports that with the solar lanterns donated by Panasonic, teachers and school children without access to electricity are now conducting tutorial lessons, meetings, making lesson plans, and instructional materials even beyond class hours. Likewise, teachers are delighted that the solar lanterns allow them to carry on with their classes even when the weather is gloomy,” Okuda said. 1. 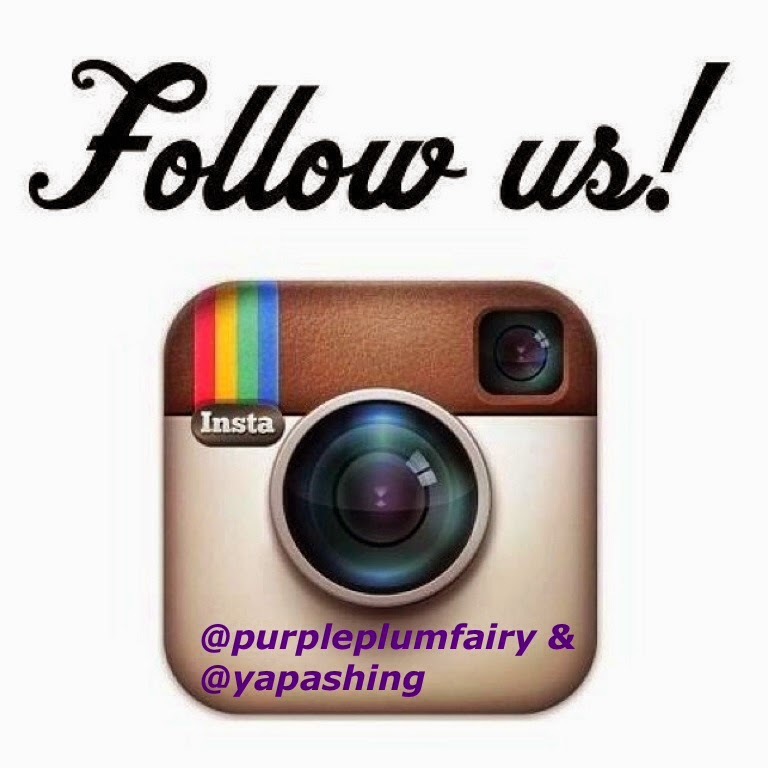 Center for Excellence in Special Education (Stepping Stone) Foundation Inc.
2. Conrado and Ladislawa Alcantara Foundation Inc.
4. Interfaith Partnership for the Promotion of Responsible Parenthood, Inc.
5. Jesus V. Del Rosario Foundation, Inc.
6. Josefa Segovia Foundation, Inc.
7. Konkokyo Peace Activity Center Information Office, Inc.
9. Pilipinas Shell Foundation, Inc. 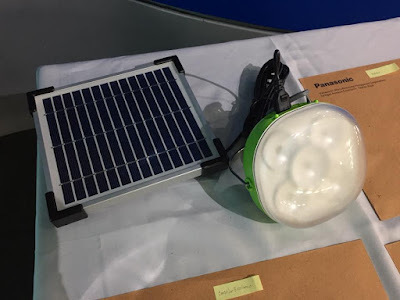 Solar lanterns are really a great support for offgrid population in the country today. It not only helps poor households' children to study uninterruptly but it also saves cost of purchasing kerosene fuel as well. Panasonic hopes its solar lanterns will provide a better life, a better world for the people of the Philippines and contribute to the achievement of the Sustainable Development Goals (SDGs).